If your company is like most, you have a Human Resource department, and you may still call it HR. For the traditional roles of Human Resources such as attracting, retaining and developing employees, the name makes sense. But, the responsibilities of this group are evolving, and the name HR fails to fully capture or give credit to the important ways this team serves and involves a company and its people. Some 25 years ago, there were Personnel Departments. As the responsibilities changed and expanded to include services like benefits and compensation, the name became outdated and evolved into Human Resources. Marketers do marketing. Accountants do accounting. HR people do…? This team is increasingly responsible for creating an environment where workers genuinely want to put forth discretionary effort by giving more than what is asked for or needed. Employee Engagement professionals, at their core, create meaningful and effective ways to connect with their employees, such as buddy programs for newer employees, committees that bring people together like the Community Development, Fun and Wellness Committees, along with professional and social opportunities in and out of the office. Employee Engagement describes this overarching tenet much more effectively than the name Human Resources. Sometimes Human Resources has a bad rap, and employees aren’t always excited to deal with them. You want your people to feel comfortable approaching the division, and a good way to do this is by better explaining what your group does. With the name Employee Engagement, it sends a message that your goal is to help people do their jobs better, and you’re there to support them, not to get in the way. 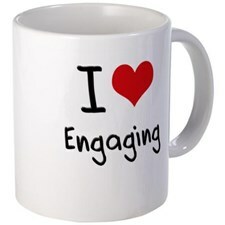 Engagement is inviting; it says you are open to ideas, conversation and feedback. Throughout my career, I’ve been fortunate to work with companies and CEOs who understand the importance of Employee Engagement. However, I know other employee professionals who have not had the same experience. Let’s face it — Human Resources can be a murky, catch-all term that doesn’t clearly convey the meaning it should. Employee Engagement professionals are a vital part of the fabric that makes up a company’s leadership team. They help develop the strategy and the direction of the company by leveraging its most vital asset, its employees. Human Resources just can’t compete with Employee Engagement when it comes to this perception in the company. Working in “Employee Engagement,” as opposed to Human Resources, can shift the way the department’s employees view their own work. It can give them clarity to concentrate on the most important aspect of their jobs, the company’s workforce. With a name change, and the change of focus that goes with it, you will see greater productivity and pride from your team and an excitement that makes everyone in an organization serve as ambassadors and champions for the company. A name change takes time and needs substance to support it. Changing from HR to Employee Engagement may be the spark your company needs to boost engagement and create an even better workplace. Michelle Roccia is the Executive Vice President of the Employee Engagement Division at WinterWyman, where she has worked since 2007. Michelle has more than 20 years of senior HR experience and oversees the company’s organizational and talent management strategies, including training and development programs for all levels of the organization and the company’s human resources function and employee relations programs.